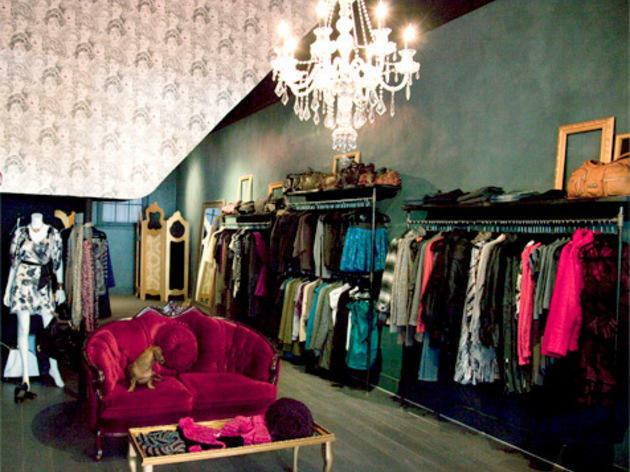 You could easily stroll right by this quaint women’s boutique, but you most certainly wouldn't want to: Owner Yael Levertov stocks her charming space with a killer collection of cozy-chic casual and party clothes—sweater dresses, tunics and jumpsuits—for wallet-friendly prices. There are two vaudeville-fabulous changing panels surrounded by a wide-range of trendy duds including exposed-shoulder tops, wide cowl-neck knits and leather jackets, and then complement your fresh finds with jewelry from overseas designers or fashion scarves. If you like what you see, move fast: ShiShi stocks about five items per style and the turnover is alarmingly fast. 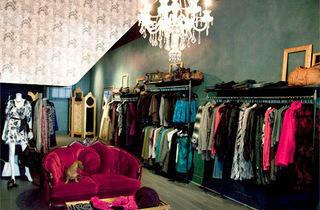 Most amazing clothing shop for all ages of women and the sweetest owners! Love Love Love this cute store!!! Fashion speaks volumes with all the styles that come through these doors!! Sweet owners, Beautiful decor, Great location and the clothes are one of a kind! Fancy to casual, purses and shoes, timeless jewelry and more! The proprietor of this store is so helpful and genuine. She gives me great ideas for how to wear a versatile piece in many ways and she is honest when something doesn't fit right. She is clearly passionate about what she does and makes her customers feel cared for! A FABULOUS shop, I am so happy I stumbled upon them one day. Anytime I wear the pieces I've purchased here I get compliments. I don't make much money, but I feel like the pieces I get here are decently priced and a good investment because they go so well with what is already in my wardrobe. Amazing, high quality stylish clothes at affordable prices. The customer service doesn't compare anywhere else! Great selection, great prices and the owner is a gem! most unusual store anywhere with the best stylists, and reasonably priced for maximum style. I don't shop anywhere else in New York anymore! I usually spend half the day there , and the owners are the BEST! Great clothes and the best prices and the friendliest people. Rapidly changing mix of trendy pieces; casual, rock 'n roll staples; Brazilian, Israeli, and German jewelry and accessories; denim for all seasons to boot at prices that won't break your wallet. Full outfits assembled (with tie belts and pleather moto jackets) in front of beautiful vintage mirror. Friendly staff who is not at all offended if you say 'thanks, but not quite what I'm needing'; then, they will point you in the direction of 'that' piece. Great outfits and accessories, plus personal styling that makes you super beautiful and happy! Great clothes, awesome service, incredible prices! Yael the owner is amazing! I do all my shopping here it's like hanging out with your girlfriends! I've sent several friends and they all feel the same way! Run don't walk to Shishi!! Unique clothes at great prices. They are very creative and patient and spend a lot of time putting together outfits that look great. They won't just try to sell you something if it doesn't work. Best clothing store in the city without a doubt. The clothes are amazing! they are continuously getting new stuff in, so if you come in once and don't find something don't fret! there will be something next time! Everyone that works there is so friendly and helpful. I buy my whole wardrobe from this place! Great neighborhood gem. Unique collection of clothes. Welcoming staff.